The Speak 510 is a personal, easy-to-use conference call speakerphone with both USB and Bluetooth® connectivity for efficient and productive conference calls whenever and wherever. An optional Jabra link 370 USB adapter gives you wireless freedom up to 30 metres. Comes with a protective travel pouch. Interact with your voice assistant (smart phone dependent) or make a speed dial with the one-touch Smart button. 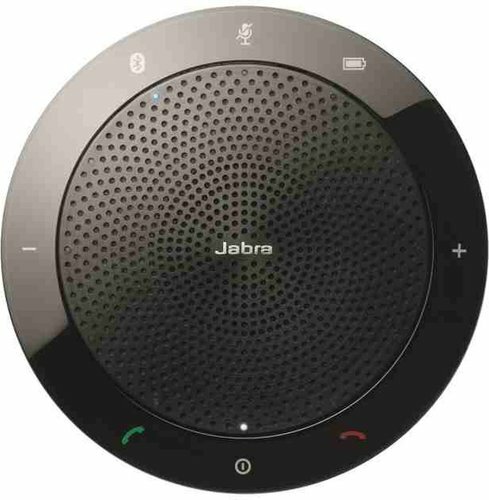 Must be configured in the PC app Jabra Direct. Easy Bluetooth® connection to tablets and mobile phones. Range of up to 30 metres on Class 1 devices.